Great Tips On Keeping Your Twitter Location Search A Secret. When geo-location became a part of the social internet, businesses flocked to it like geese heading north for the winter. For the user end of it, it seemed ok and everyone went along with it, but I have found that if not put into check can put you into very positions. Twitter has this feature on by default and it takes you as the user to turn it off and delete any location information. I will show you this later on. For one thing, you name is all people need to know, my name Nathan Stadler is one of many in the world and not all of them live where I live. Which is why I share it freely on the internet, I’m only one of many that use that name. Unless you’re dealing directly with twitter for twitter adds, they do not need your credit card information and unless you’re a local business trying to rev up some customers, they don’t need your location. Cyber-stalking is a real thing, it’s something you need to keep your children aware of. Schools are trying to, but that’s not their job. They call it cyber-bullying, but cyber-stalking and cyber-bullying go hand in hand. Keeping yourself aware of what’s out there isn’t to make you paranoid, only to keep you informed and safe. Is someone tweeting you exclusively? Sign into your twitter account and head over to the settings menu. That’s right under your picture right before the log out button. On the left side, there will be a long list of menus, you will want to select Security and Privacy. Find the menus with buttons called Tweet Location. Unselect Add location to my tweets and click the delete location menu. This will keep your tweets from showing your location and deletes all prior information that you may have accumulated about your whereabouts. I pray this never happens to you, but just like a fire escape plan, you will need to know how to protect yourself. Do not be ashamed of blocking people who may exhibit signs on cyber-stalking. You will need to go to your twitter profile and select the people following you, there’s a settings button beside the follower with a list of menu options. You can select Block (Stalker) where the stalker is the person stalking you, to keep them from sending you any more tweets. There is also a report button in case this person does not let up. Twitter is an open book to everyone, so please be on the caution side when posting things related to your current situation. Twitter is a great outlet to market yourself as a brand, but as spiderman says “With great Power comes Great Responsibility”. 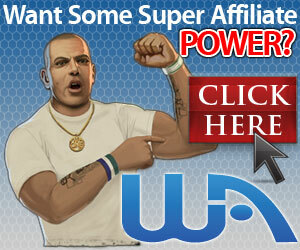 Previous Previous post: My Review On SFI Affiliate Center, Is It Legit Or Scam? Next Next post: My Worldprofit Review, Is It Legit Or Scam? I know first hand how easy it is to be targeted for various forms of fraud, and I’ve come to the conclusion that online security is very serious business. Although I just recently signed up to twitter, my experience with the social media giant is limited at best. That being said, I plan on integrating it more this year for marketing purposes and I’m glad that I ran across your post, as it was very informative. Thank you. I’ve managed to make the changes you suggested about my location on Twitter and I find it handy to know how to block another Twitter follower should it happen to me, so thanks for the advice in this post.